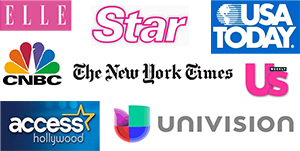 Los Angeles, CA–(HISPANIC PR WIRE)–May 31, 2005–In 2004, Hispanics led minority racial and ethnic groups undergoing cosmetic procedures (8.5% of all procedures performed, up from 6% in 2000), according to the American Society for Aesthetic Plastic Surgery. 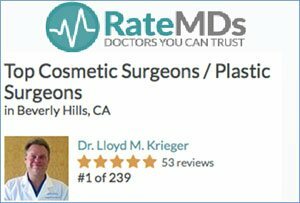 More Hispanic women are seeking plastic surgery, according to Dr. Lloyd Krieger of Rodeo Drive Plastic Surgery. Dr. Krieger, who has been featured in Fortune, The New York Times, The Wall Street Journal, Access Hollywood, and other media, states that over 35% of his patients are Hispanic men and women. — The majority of Dr. Krieger’s patients who ask for the “The Rodeo Drive Mommy Makeover” are Hispanic women in their 20’s and 30’s. The “Mommy Makeover” consists of a tummy tuck, breast lift and frequently a small breast implant. — Hispanic women and men who opt for rhinoplasty are concerned with keeping their ethnic identity, so Dr. Krieger’s procedure enhances the face but does not erase ethic origins. — Hispanic skin is generally thicker and less prone to wrinkling; signs of aging tend to be sagging rather than the crinkled look found in Northern Europeans. — Generally darker than Caucasian skin, Hispanic skin is more prone to scarring and uneven skin tone. Dr. Krieger notes that special approaches are necessary in his procedures for Hispanic patients to avoid unsightly scarring and to preserve the skin tone. — Liposuction is in high demand by both Hispanic men and women. Dr. Krieger’s male patients ask for liposuction to eliminate love handles and achieve the look of a flat chest and washboard stomach. Dr. Krieger has established a unique professional network to offer his patients a lifestyle design, which may include a new wardrobe at nearby Rodeo Drive shops, a new hairstyle, spa treatments, and a new fitness regime. Dr. Krieger attended medical school at the University of Chicago and completed his residency at UCLA, and maintains operating privileges at UCLA Medical Center and Cedars-Sinai Medical Center.